March Madness is upon us, and 68 teams have been reduced to the Sweet 16, with games tonight determining the Elite 8. 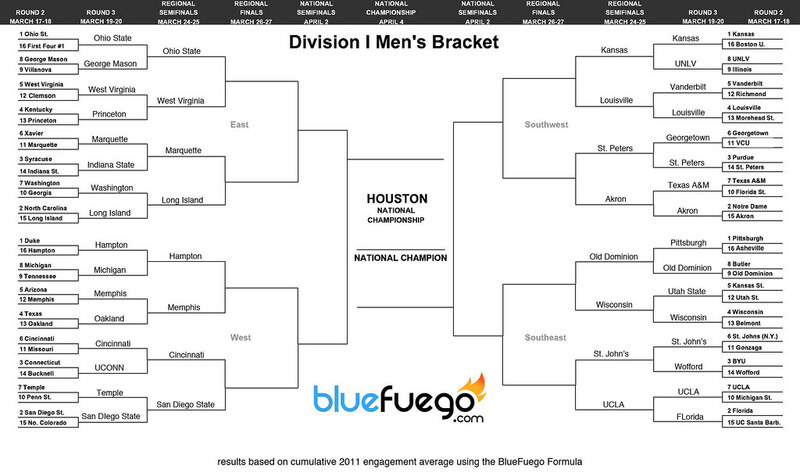 We’ve seen our fair share of buzzer beaters and bracket busters already, but we got to thinking at BlueFuego… what if the tournament were decided according to the BlueFuego Formula? 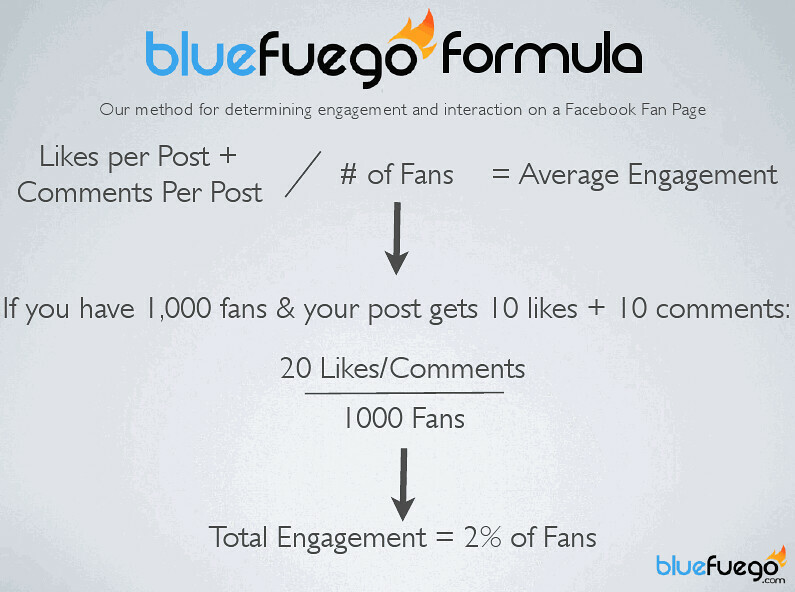 The BlueFuego formula has been run across over 355,000 individual Facebook Page posts for over 1,200 college and university main fan pages in the past 23 months. It’s our way of determining engagement on a Page, and we’ve manually pulled the data on every single post. - Of the #1 seeds, only Duke loses in the first round. - Of the actual Sweet 16 teams, only 5 (Ohio St., Marquette, SDSU, Kansas and Wisconsin) make it to the Sweet 16 in our bracket. - Only 4 of the 16 third round games matched our bracket. Hey, nice formula, but what about sharing the post ? it’s not included in the engagement formula ? How much points gets user’s post in a fan page ? This action I think may be more valueable because the user is more active.. isn’t he ? buy the way, I’m yours 1177 like. why don’t you come to Israel and give a Champagne bottle..